So, after a mid-summer blog break, we’re back to our “weekly” inspirations about ideas we’ve come across that make us think about experiences, museums and the like. This week, we’ve encountered two interesting pieces that explore ideas we have mentioned before – reflection and light. The first is Light Barrier by kimchi and chips a South Korean design studio. Using principles of reflection, projection, and some carefully crafted light beams along with scanning technology, they create a mesmerizing three-dimensional display. What’s interesting to us is two-fold. First, it shoes how powerful three-dimensional display can be without having the “resolution” that we normally associate with “display” in the museum setting. Certainly, there are aspects of content, text and other display elements that could utilize this same power. Secondly, as clearly evident in the work, there are many mathematical and natural science phenomena on display in the work as it is. Certainly, this could be a powerful way to engage visitors with this content. The second item we ran across plays directly with some of our other blog posts about reflection. Take a look at “wink” by Masakazu Sherine and Saya Miyazaki from Japan. 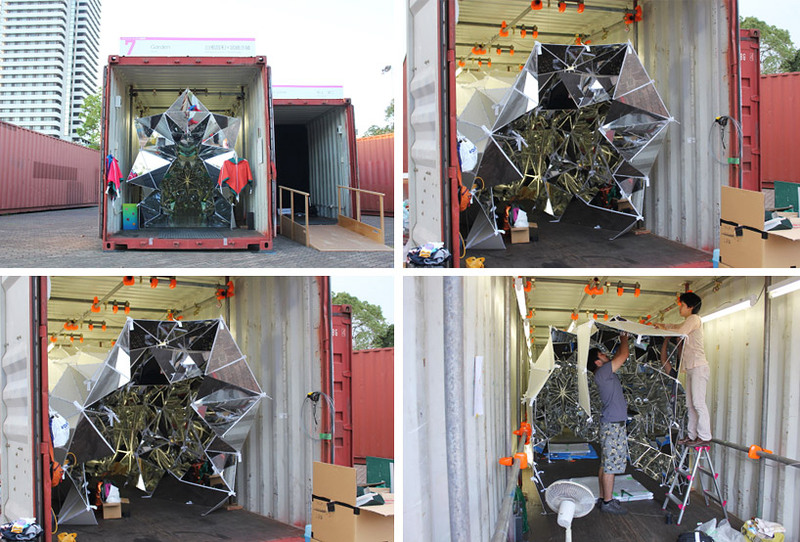 It’s a walk-in kaleidoscope! 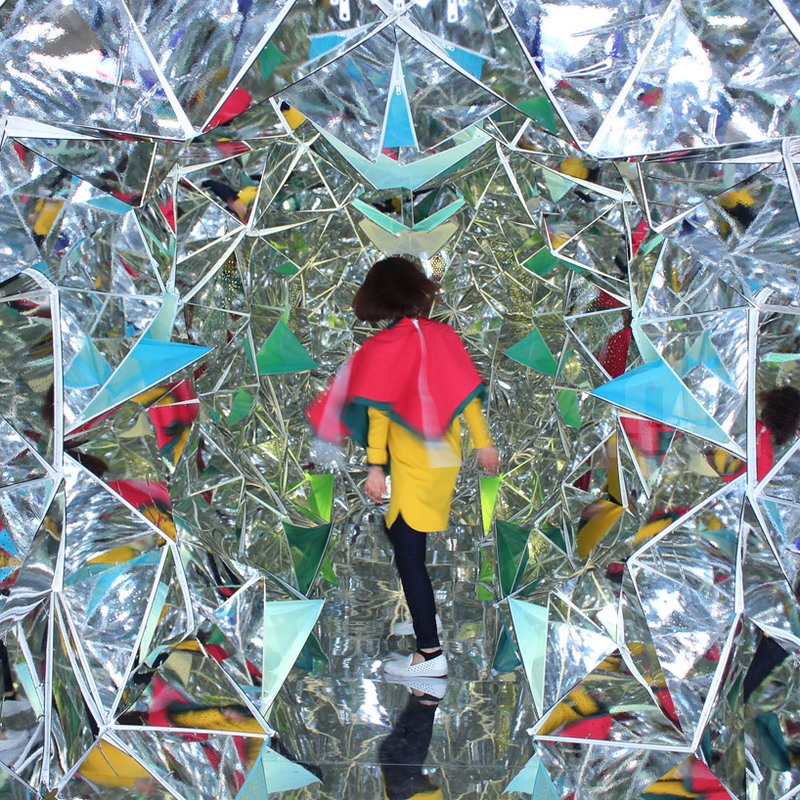 A fascinating part of this installation is that all of the panels are attached by zippers, making it almost infinitely changeable to the visitor – a kaleidoscope that changes while you are in it. This piece creates an almost magical space. It would be easy to see the same concept in an art or a children’s museum. 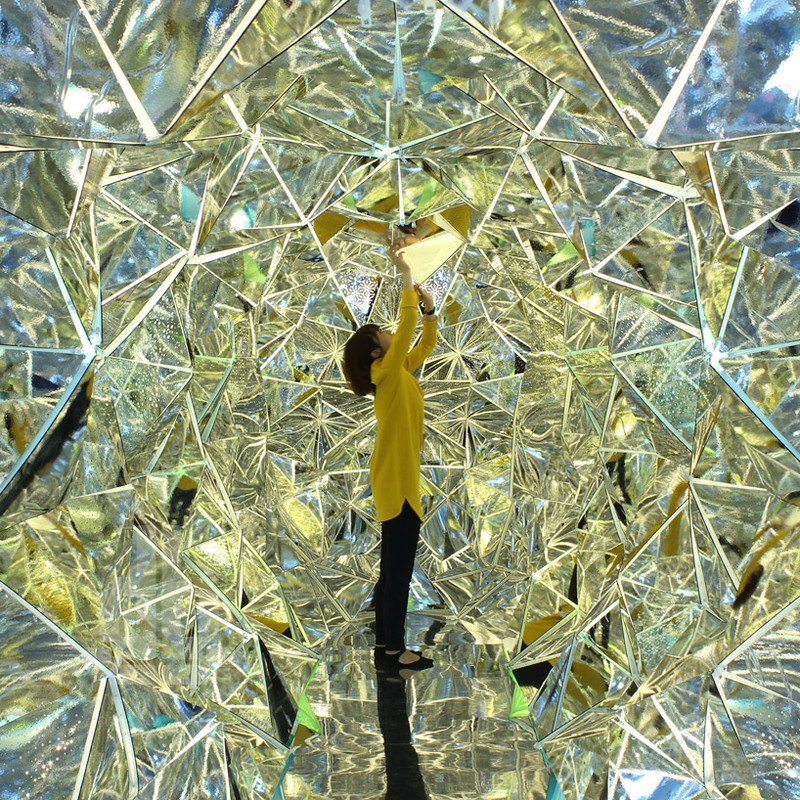 Where could you imagine installing these playful experiences? How would you adapt them to support something you’ve been thinking about or working on?